Right turns are more complicated than left turns because you need to look for traffic approaching from the left and right. You may also need to give way to pedestrians crossing the road that you are entering. At an uncontrolled intersection (four-way intersection with no Stop or Give Way signs) you may also have to watch for approaching traffic. Right turns are generally less sharp than left turns. The next picture shows the path taken by a left and right turning vehicle. While you have to cover more road to complete a right turn, because it is shallower you can generally accelerate quite quickly. This is necessary because you need to quickly match the speed of the traffic on the road that you are entering. As with left turns, the faster the traffic, the more time and space you need to complete a right turn. Gap selection for right turns is a skill that will take time and practice to develop. Here are some guidelines to help. If you are turning right in a 60km/hour zone you will need a gap of at least 4 seconds between your car and vehicles approaching from the right, but a gap of at least 6 seconds from the left. The following picture illustrates this. This assumes that the traffic is travelling at 60km/hour - it may actually be faster - and that there is no on-coming traffic. You need a smaller gap on the right because you will more quickly "clear" the traffic approaching from the right. But you need a bigger gap on the left because you need time to complete the turn on the far side of the road and accelerate to the speed of the traffic. Because it will take you about 3 seconds to get to the other side of the road, a 6 second gap to the left allows you 3 seconds for accelerating to the speed of the stream speed of traffic you are entering. Turning right at a cross intersection (ie one with four directions) with oncoming traffic and traffic from the right and left, is harder. You will need to look three ways to judge a safe gap - to the front and the left and right. As shown in the picture below, you are also likely to be facing a Stop or Give Way sign. In this situation you need at least a 4 second gap to the right, at least a 6 second gap to the left and at least a 4 second gap to the front. Gap selection skills take time and practice to develop. Start with simpler gap selections and work up to the more complex ones when you feel confident. Making a right turn at traffic lights is simpler than at an uncontrolled intersection (ie one without traffic lights, Stop signs or Give Way signs). You only have to look for a safe gap in the traffic that is approaching you. However, many drivers have crashes when turning right at traffic lights. This is because they pick gaps that are too small or misjudge the speed of the approaching traffic. If you are turning right at traffic lights in a 60km/hour zone you will need a gap of at least 4 seconds (about 70 metres) between your car and approaching vehicles. Again, this assumes that the approaching traffic is travelling at 60km/hour - it may actually be faster. The picture below shows what a 4 second gap (about 70 metres in a 60km/hour zone) would look like from a driver's eye view. As with other turns, these are guidelines only, not hard and fast rules. You will need to build your gap selection skills so you know what a safe gap looks like to you when you are turning right. Remember, you must also give way to any pedestrians crossing the road that you are about to enter. Selecting safe gaps when turning right is harder than turning left or crossing an intersection. The following practice exercises will help you with this. They will also help you develop hazard perception skills to apply to other gap selection tasks. Learning how to judge what a safe gaps looks like in traffic needs practice. It can also be dangerous, so take care. When you're with your Qualified Supervising Driver, find a T-intersection on a busy arterial (main) road in a 60-km/hour zone where many cars turn right onto the busy road. Park your car somewhere safe and walk to the intersection. Stand on the footpath where you can see the right turning vehicles and the approaching traffic on the busy road. Watch the traffic on the busy road approaching from the right and left. By counting "one thousand and one, one thousand and two" and so on, work out where a 6 second gap would start to the left. Select an object (eg a power pole, bus stop or tree) to mark this spot. Do the same for traffic approaching from the right, but count to four seconds, not six. Now watch the drivers turning right from the side street onto the busy road - watch at least 10 to get a good feel for it. When do they go? Do many go inside the safe gap guidelines? Watch for other drivers, when do they go? Were there any pedestrians? Think about when you would go if you were in your car waiting to turn right at that intersection. Would you have accepted or rejected the gaps taken by other drivers? 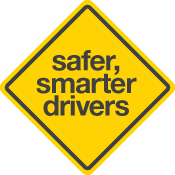 Ask your Qualified Supervising Driver what they would have done. Without interrupting or distracting the driver, note when you would have gone and discuss this with the driver later when you have stopped somewhere safe. How much did the two of you agree? Who accepted the smaller gaps, you or the more experienced driver? Were there any pedestrians? Discuss with the more experienced driver why they went when they did and how they judged the gap was safe. Using the same intersection make about six right hand turns. Your Qualified Supervising Driver should note when they would have gone and discuss this with you. They should not interrupt or distract you when you are driving, but should give their advise. How much agreement was there? Who accepted the smaller gaps, you or the more experienced driver? Were there any pedestrians? Discuss with the more experienced driver why you went when you did and how you judged the gap was safe. Follow Steps One-Three for gap selections in other speed zones. You should practise gap selection and compare notes with several more experienced drivers who you trust. Do this until you are confident that you can make consistently safe gap selections when turning right at T intersections when facing a Stop or Give Way sign. When you feel confident, repeat Steps One-Four for turns at 4-way intersections where you need to judge safe gaps to the front, left and right and are facing a Stop or Give Way sign.